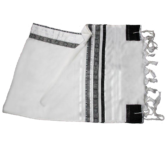 The classical black and white combination of this hand made tallit set makes it appropriate for the most sober ceremonies. 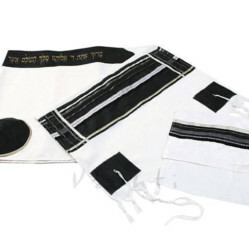 This is a very sober, yet extremely elegant tallit set hand made by the Israeli specialists out of the purest wool. 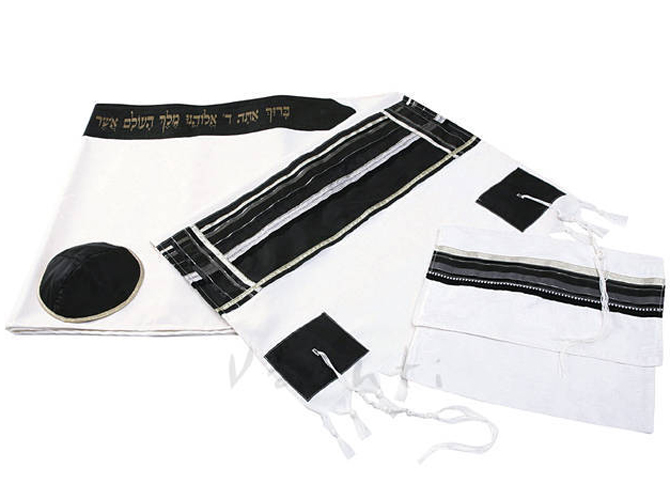 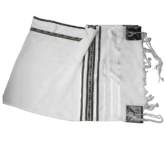 The fabric’s high quality as well as the black stripes and squares provide this prayer shawl with a very distinguished look enhanced by the white Hebrew letters striking on a black background. 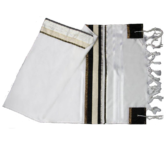 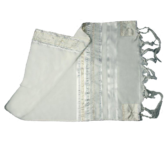 The matching kippa is also black and the white easy to use and carry tallit bag bears the same style of carefully designed decorations as the shawl.